How do you make a machine as empathic as a human? That’s one of the big questions Mercedes has been asking when it comes to its autonomous car development. 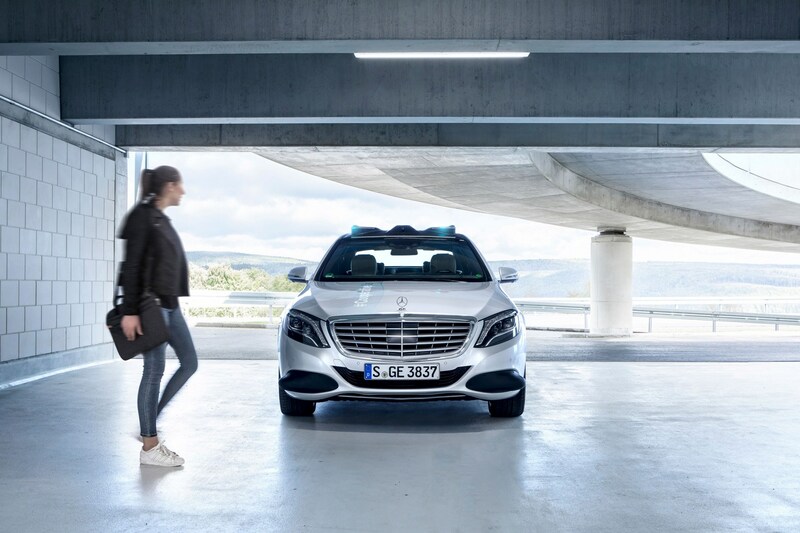 CAR was invited to one of Mercedes regular ‘FutureInsight’ debate sessions, with the most recent one focusing on the whole idea of empathy and how it can be incorporated into autonomous cars. Because research from different outlets has already brought up the thought that pedestrians in particular don’t feel comfortable if they’re in the same environment as autonomous cars. 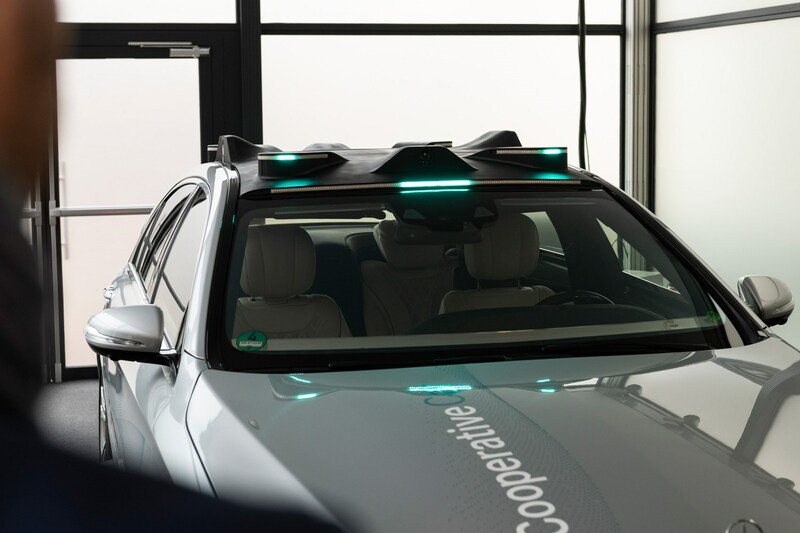 JLR for example has recently done a test by incorporating a pair of ‘eyes’ onto self-driving pods, after they found out that 63 per cent of pedestrians they asked worried about safety when crossing the roads of tomorrow if they’re full of self-driving cars. 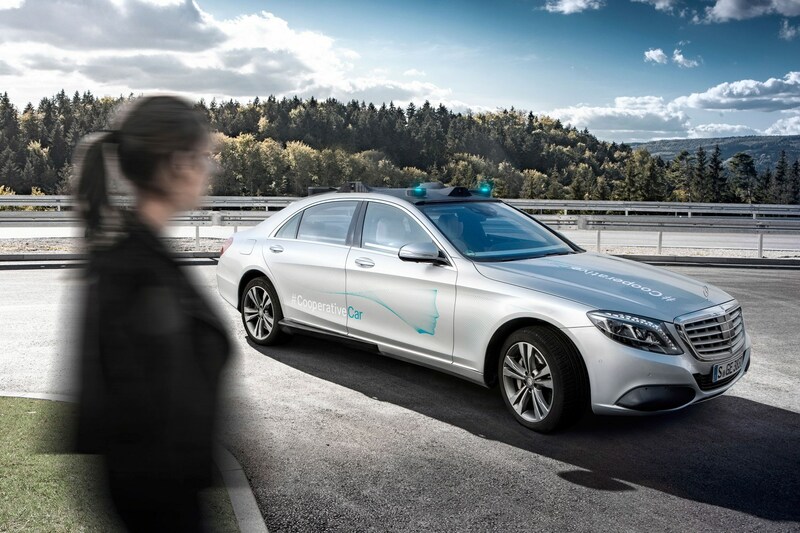 The FutureInsight talks investigated how we could engineer in ways for the cars of the future to communicate their intent and build up trust among pedestrians. Ideas like designing them to have faces with eyes inspired by Japanese Manga comics and learning how horses scout out their surroundings with no vocal communication. So what’s come of it? 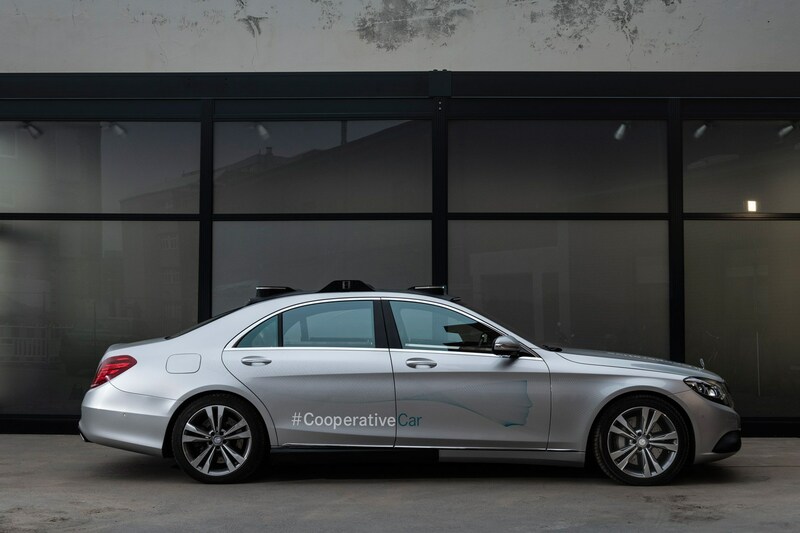 Enter the Cooperative Car – a Mercedes S500 with some experimental self-driving technology on board. 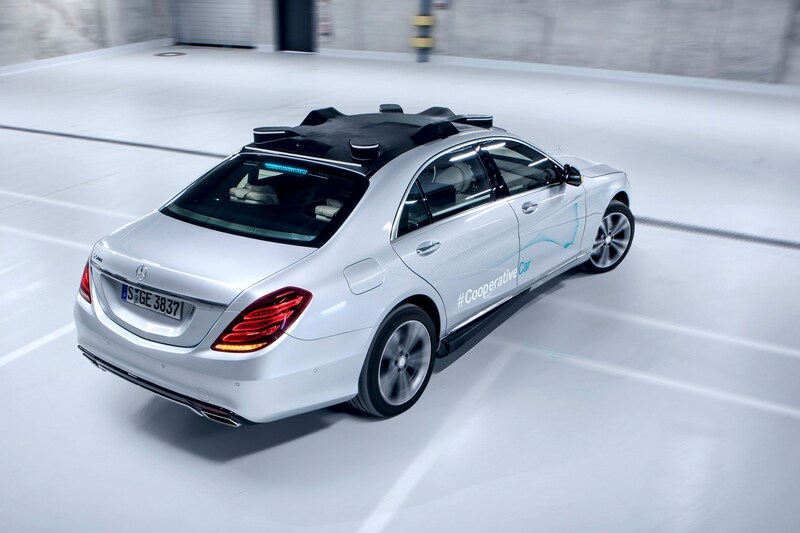 The most obvious bit is the suite of cameras, LIDAR and other sensors attached to the roof for 360-degree awareness. But blended into the scanning kit are belts of lights attached to the four semi-circular hubs and above the front and rear screens. The demonstration included various gentle methods of letting the car know it was aware of the folk walking around it, including individual LEDs tracking each person and moving as they did around the light bands and ways of non-vocally communicating that it was safe to cross in front of it. Notice how the lights are turquoise? 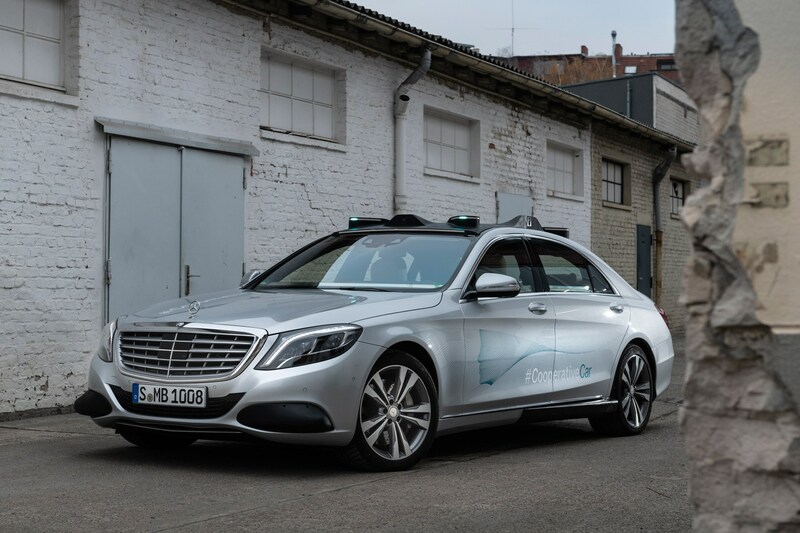 That’s because Mercedes has noted that the particular colour has not been used in the automotive sector, and is pushing for it to become a standard for autonomy. Just like red is used at the rear for braking, green is for traffic lights, orange for indicators etc. There are two lumps in the front bumper, too, designed to fire directional sound at pedestrians which the car thinks are not paying attention. How does it know? The cameras have been trained to recognise faces and if humans are looking at it. If not, directional sound is fired. It has taken a considerable amount of time to get as far as this. The team behind these FutureInsight debates have been working for more than a decade to open up talks about the car and indeed the city of the future. 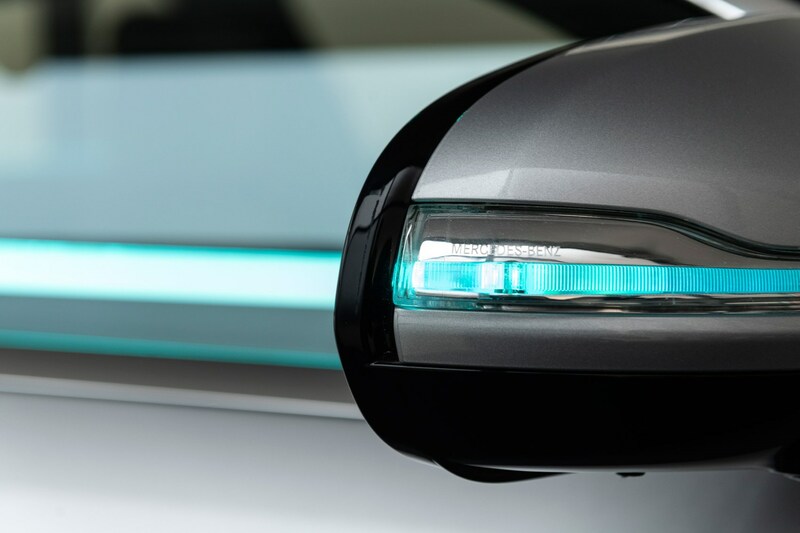 The team were behind the F 015 concept car that showed off ideas like this in a much more primitive state than they are now, and had influence on the drone-equipped Vision Van and, more recently, the Smart Vision EQ ForTwo.